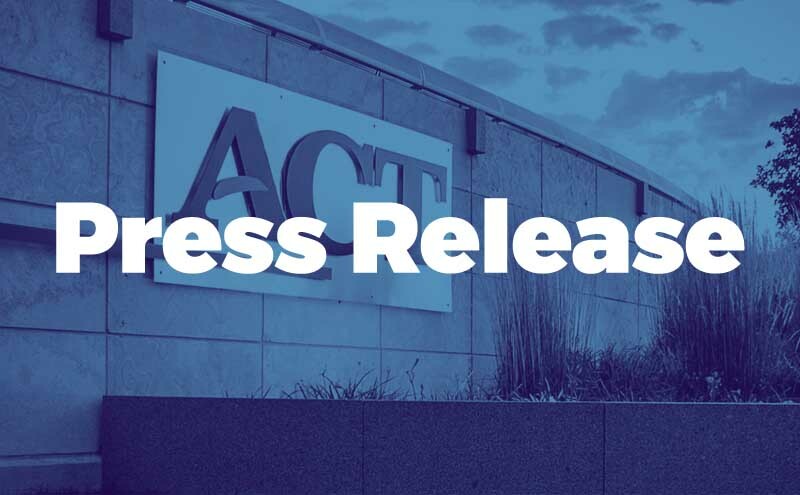 IOWA CITY, IOWA—ACT, the nonprofit developer of the ACT® test and other assessments taken by millions of individuals worldwide, will begin offering its February national ACT test date in the state of New York starting in 2019. The state’s high school students will now have six opportunities each year to take the ACT, rather than five. ACT’s February test date, which is offered in other states, has not previously been offered in New York due to a state disclosure law, but a new exemption passed by the state legislature has changed that. New York state law requires standardized testing companies to make regular disclosures of test contents to the State Education Department. Due to the disclosure schedule, ACT was previously limited to offering only five test dates throughout the year. In an effort to provide students expanded testing opportunities, Senate Bill 8639 was introduced by Sen. LaValle allowing ACT an exemption to offer an additional test date annually while still complying with disclosure requirements. Senate Bill 8639 was signed into law by Governor Andrew Cuomo on Nov. 5.